Link to Liverpool Echo article about adaption to South African setting. DECADES YEARS IN THE WEST END – now in South Africa for the first time! Willy Russell’s acclaimed West End Musical BLOOD BROTHERS will be produced by Pieter Toerien and Eric Abraham for Theatre on the Bay and The Fugard Theatre in their first co-production together. BLOOD BROTHERS has enjoyed phenomenal success internationally. Opening in London in 1983, the musical ended its sensational 24-year West End run in 2012. 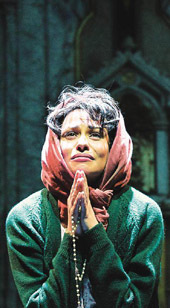 Willy Russell has given his blessing to David Kramer’s adaptation, which locates the musical within the Cape Town community, giving it a distinctly local flavour. It is the first time that he has granted permission for the work to be adapted anywhere in the world. 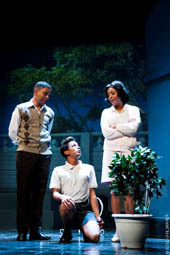 Adapted for the South African stage by singer, songwriter, director and playwright DAVID KRAMER, who will also direct. Blood Brothers, after a 24-year West End run, is heading this way. Lesley Stones spoke to author Willy Russell collaboration between world-renowned playwright Willy Russell and South African musician David Kramer is promising a theatrical treat for local audiences. 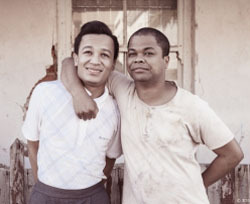 Russell has allowed his musical, Blood Brothers, to be adapted for the first time ever, transporting it to a vibrant new backdrop of District Six. Winning permission to adapt the show is a huge coup for Kramer, making it more relevant and hard hitting for local audiences. When I catch Russell via a phone call to London, he tells me he's just back from picking up a banjo. That has to be a story worth hearing, so I ask why he's fiddling around with such a bizarre instrument. "It's a long story," he says, jumping into it with relish. It's a pleasure listening to him building up a tale on the fly, embellishing it with little details that turn an odd moment into a memorable encounter. Russell is an accomplished musician as well as a playwright and lyricist, but when I ask if the banjo is still one of his instruments, he jokingly tells me his definition of a gentleman. "It's a man who can play the banjo - but doesn't." A conversation with Russell is erudite and entertaining, as befits the author of the glorious Educating Rita and Shirley Valentine. Both are bittersweet tales about downtrodden and uneducated people triumphantly finding their place in life, and come from a man whose own school career was inglorious. 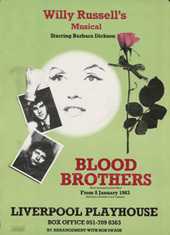 Blood Brothers is the tale of twins separated at birth because their mother cannot afford to raise them both. One rises above his circumstances and the two later become friends without knowing their relationship, only to meet a tragic end. It's rich with drama, poverty and passion, and will work just as well in District Six as in the original setting of grimy Liverpool. Although Russell has no ties to South Africa, he knew of District Six. "I know it's not dissimilar from the same kind of vibrant, Touche, insouciant working class, multi-ethnic Liverpool community out of which the original grew"
Until now the musical has only been presented in its original form, and when it was translated into Japanese it remained set in Liverpool. "Years ago somebody did take great liberties and adapted it for a production in Korea and we had to put a cease-and-desist order on it because it took the play and twisted it to suit some director's needs," Russell says. "My attitude was write your own play in that case." Kramer, who is best known for his musicals District Six and Kat & the Kings, which ran on Broadway and London's West End, received a far warmer reception. "David is very skilled as a theatre director, writer and musician like myself and it was obvious from the get-go that we shared a very similar attitude to theatre and life in general," Russell says. "If you write about any place well you are writing about everywhere, so I tend to focus on the specific. But if you have this parallel with Cape Town's District Six culture it seems to be madness not to take the opportunity to make it more visceral and relevant to the audience." When Kramer adapted the first act and sent it for approval, Russell says it immediately confirmed this was the right approach. After the script was adapted Kramer flew to London to work with Russell on the music. "During that time we revisited certain areas of the script and I said 'why don't you take that further'. He was almost being too respectful." With one of the songs, Russell urged Kramer not to be hamstrung by its Englishness. It was written for a string quartet but Russell encouraged Kramer to inject a Cape Coloured flavour: "He played it on the accordion and I joined in and we put a whole African groove on it and that was a breakthrough." Russell admits the adaptation has let him improve some elements he was never truly happy with. 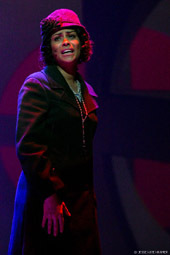 The song called I'm Not Saying A Word had been designed as a duet, but Russell turned it into a solo because the actress originally playing the female role couldn't sing. He had always itched to address that compromise. "That's the nature of theatre. You always have a chance to go back and get right those things that manage to get by in front of audiences, when you have always known - deep in your little guilty soul - that you didn't do as well as you could have. "So, 30 years later, to have a chance to put something right is irresistible." It's fascinating to hear Russell exposing a flaw, since Blood Brothers ran for an incredible 24 years on London's West End and is now touring England again. I ask why it has endured for so long. He says: "It's got a story to tell. It's a strong narrative and I have seen musicals based on the flimsiest of tales. A lot of it is told through rapier comedy, but it's a very tragic tale dealing with extremes of real joy and real pain." Russell believes theatre also endures when a play with universal relevance speaks with the vitality and vernacular of the local audience. "I know a lot of musicals play across the world exactly as they are on the West End. "That's fine for people who want to make that kind of theatre, but that's not the kind of theatre I want to make. I'd rather take a chance to see if it works as an adaptation than play safe." Yet he remains fiercely protective of his work, and has just refused to allow someone in Germany to overhaul Educating Rita. "David isn't overhauling Blood Brothers, he is revealing it at its most potent. I have told him if it all goes well I get all the credit - and if it goes badly David gets all the blame." 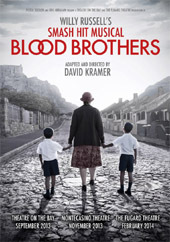 * Blood Brothers plays Cape Town's Theatre on the Bay from September 10 to October 20, Johannesburg's Montecasino from November 15 to January 5, then Cape Town's Fugard Theatre in February 2014. A collaboration between world-renowned playwright Willy Russell, left and South African musician David Kramer, is going to be a theatrical treat for local audiences.